View cart “HH22. 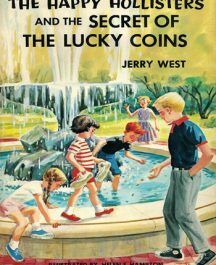 The Happy Hollisters and The Secret of The Lucky Coins” has been added to your cart. A visit from Gram and Gramp Hollister in the Hollister home at Shoreham opens up the opportunity for the five children to go to Canada with their grandparents to see the Mardi Gras and Winter Carnival in Quebec. That, however, is not the only purpose of their trip. Mr. Hollister tells the children that a Christmas gift he had ordered for them has taken overlong in reaching Shoreham and, although he had wanted to keep it a secret, he is now worried about the delay. The gift was a cariole, a French Canadian sleigh, and was to be made by a master sleigh maker in Quebec. 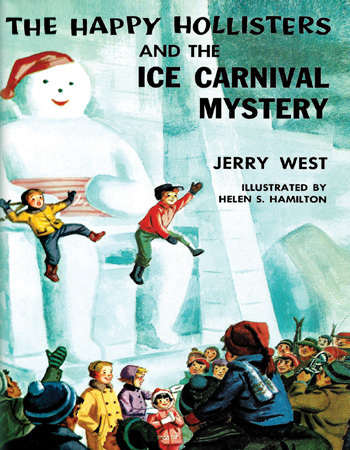 He commissions the children to try and solve the mystery of the missing sleigh. 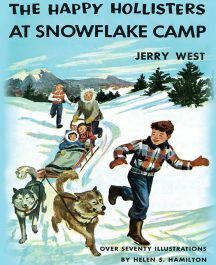 The children meet many interesting people and are introduced to the customs and ways of the French Canadians as well as encountering adventure and excitement in their efforts to find the sleigh . . . maker and the sleigh. The crowning glory for the children is their participation in the parade at the Winter Carnival. 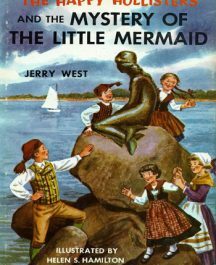 Again a Hollister story of mystery and adventure, with a setting that will introduce young readers to a different way of life in a most interesting and historic location. 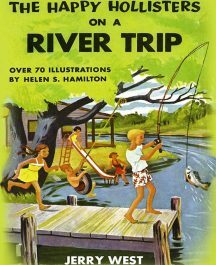 Paperback; 168 pages with 20 illustrations. Only $11.95!